Since meeting Emma from BizRocks Magazine on Twitter, I contributed an article which was published in July’s issue. Here’s a step-by-step simple walkthrough on how to link your website to your YouTube channel, verify ownership, enter your channel keywords and link to your social media accounts. In the text box immediately below the tab bar, you can add a channel description. The maximum length for this section is 1000 characters. 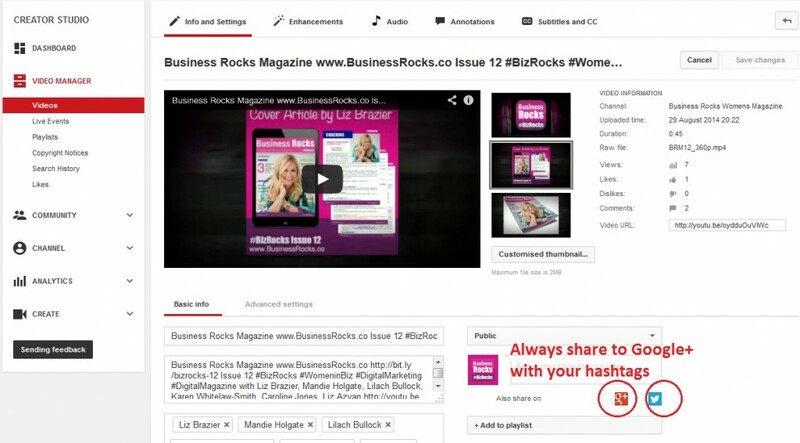 Icon links are featured at the top of your description and use the icon from the social network pages available. 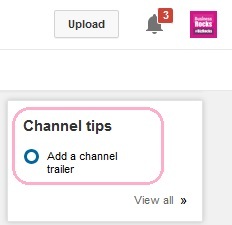 You can have up to four icon links overlayed on your channel art. Custom links appear below your Icon links and can be used to link to anywhere on the web. 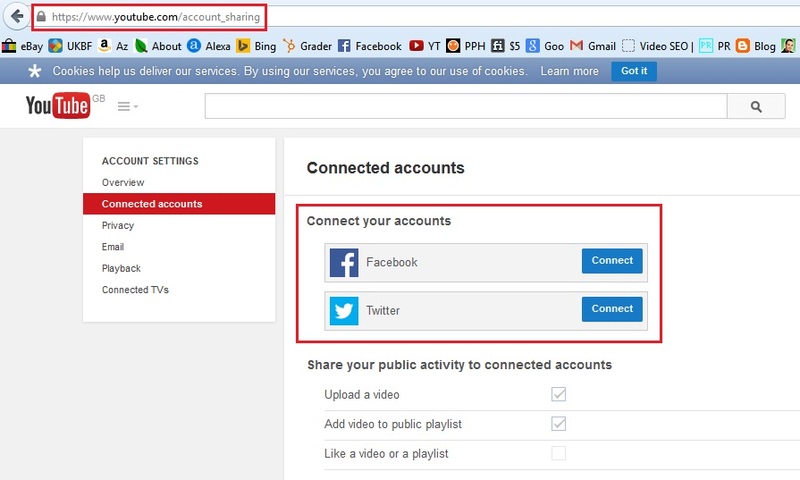 There’s other settings socially to connect, people who update YouTube daily may not want to bombard their Facebook page with every update, however if you update your YouTube channel once a month then I would recommend linking Facebook. Twitter is strongly recommended as this pushes out updates as they happen without you having to change apps. 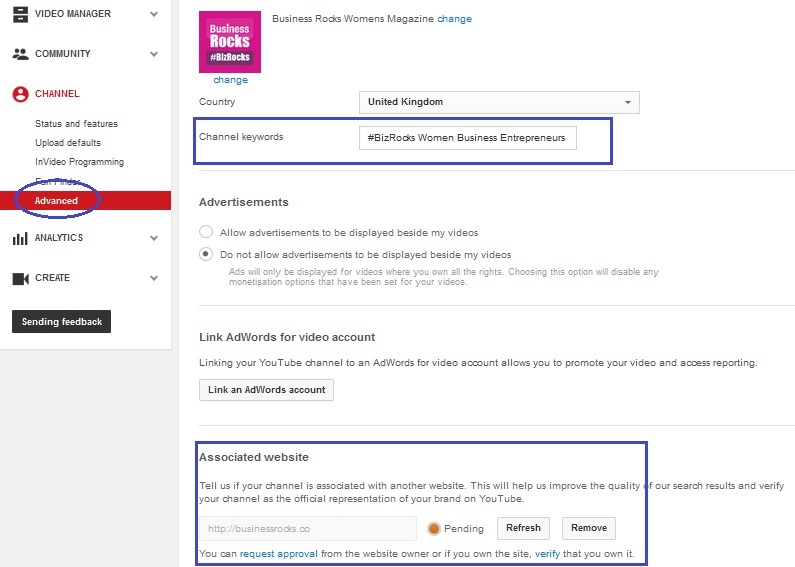 YouTube does not like the same video being uploaded to different accounts, so take a look in your Video Manager to ensure your content is unique and provide a central point of reference for your viewers and to ensure everything is under one channel. Here you can name your channel, add your channel keywords and link / verify to your website to prove your ownership. Videos on YouTube don’t have to be expensive, log in and simply upload your company logo and images to create a slideshow! You’ll have your own channel in under an hour fully optimised and ready for your new stream of viewers. Read more about SEO and YouTube Video Optimisation here. Firstly massive thank you to Nina Greaves for optimising my new You Tube channel and helping me to bring it up to date with this fab tutorial post! Hi Emma thanks for taking the time to update us with the news of your YouTube channel – it’s good to know blog posts like this can help others. I look forward to contributing to #BizRocks again in December 2014!